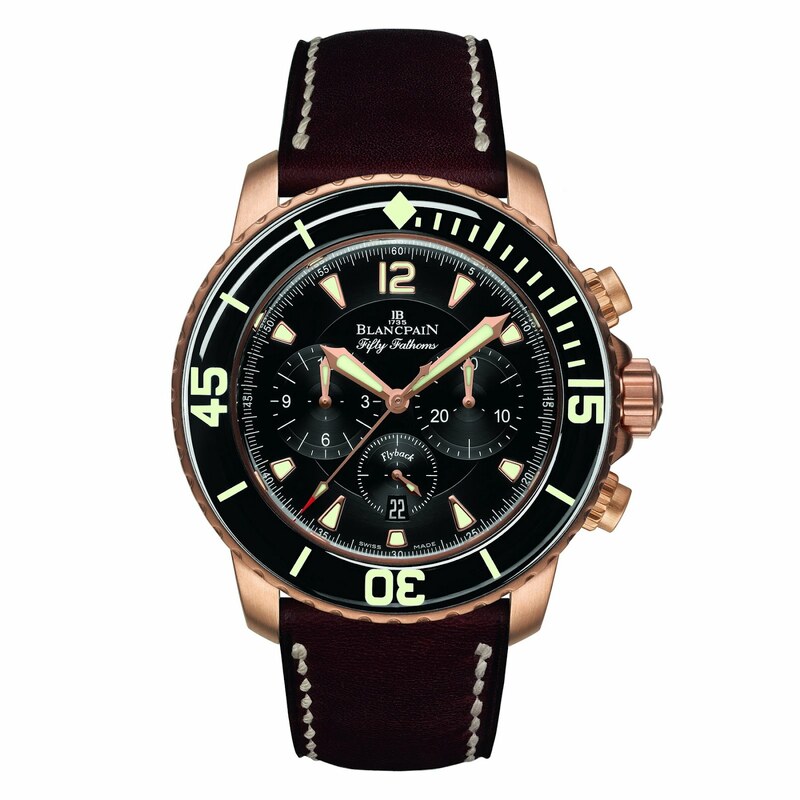 By TLex Here's the 2012 FIFTY FATHOMS Flyback Chrono Red Gold Ref. 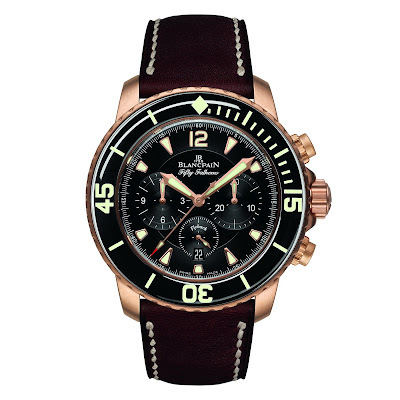 5085F.A-3630-63B with Flyback Chronograph, date and small seconds, black dial, unidirectional bezel, anti-magnetic cage, self-winding Blancpain Cal. F185. 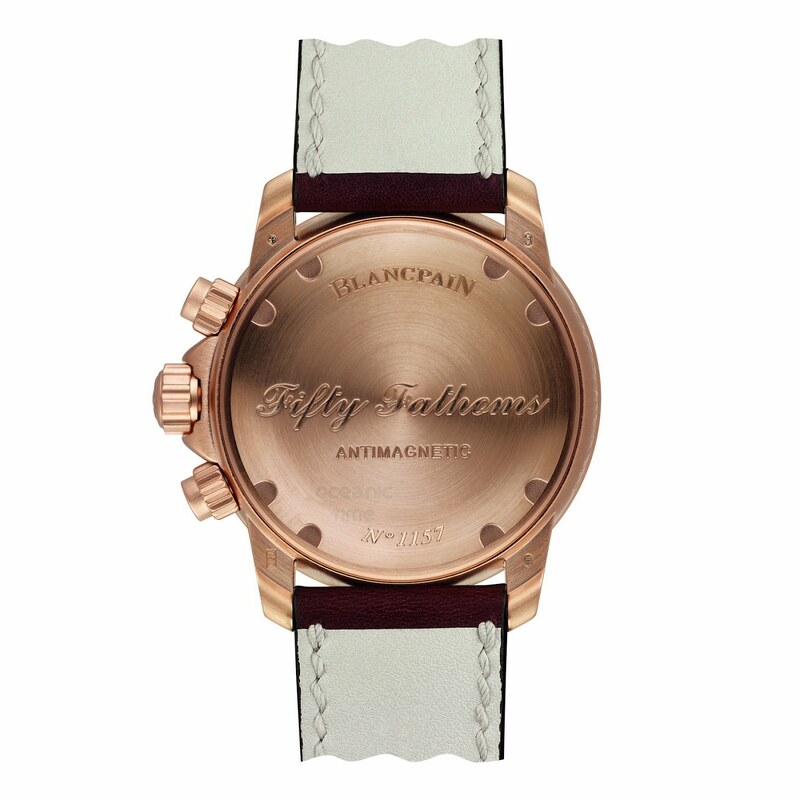 45mm x 15.50mm Satin-brushed red gold case with a water-resistance of 30 bar or 300m.